Nami Island is known as Namiseom in Korea, it is a tiny half-moon shaped island located in Chuncheon, South Korea, formed as it was inundated by the rising water of the North Han River as the result of the construction of Cheongpyeong Dam in 1944. According to the guide, its name originated from General Nami who died at the age of 28 after being falsely accused of treason during the reign of King Sejo, the seventh king of the Joseon Dynasty of Korea. Although his grave wasn’t discovered, there were a pile of stones where his body was supposed to be buried. 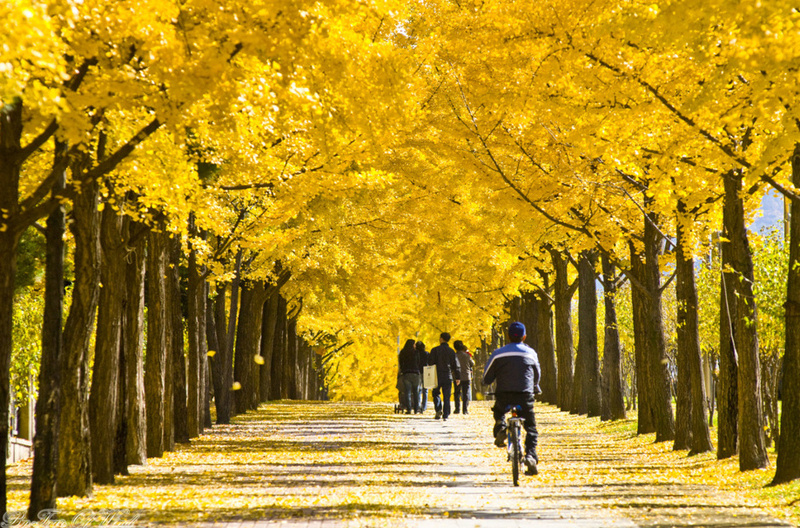 If Japan is famous for its Pink Cherry Blossoms that blooms around the country, then South Korea is famous for its Golden colored fallen leaves. 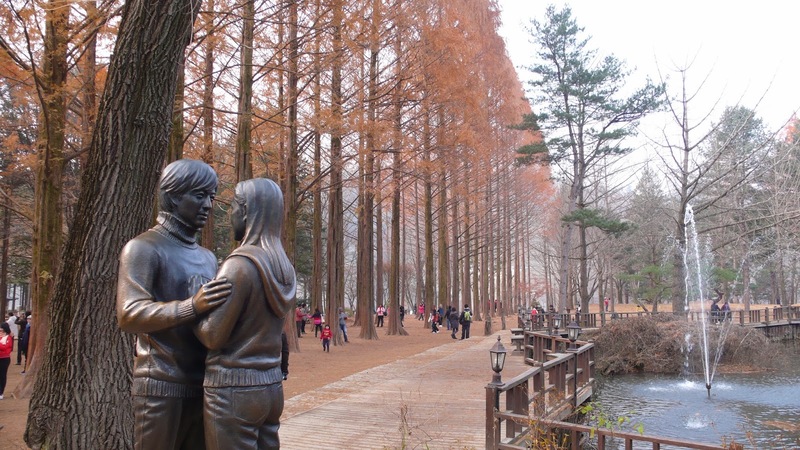 The movie entitled Winter Sonata was made while in Nami Island, and after the movie made a hit throughout Asia, Nami Island then become an iconic tourist spot whenever visitors come to this country. Most tourists come visiting South Korea in Fall, and many of them took a Pre-wedding photoshoot in Nami Island. There was not really much to do while I was in Nami Island, mostly just taking pictures with trees and statues. There are restaurants as well as small cafes in Nami Island, so you could chill out here if you have plenty of time. You need only 2-3 hours in Nami Island, not more I suggest. 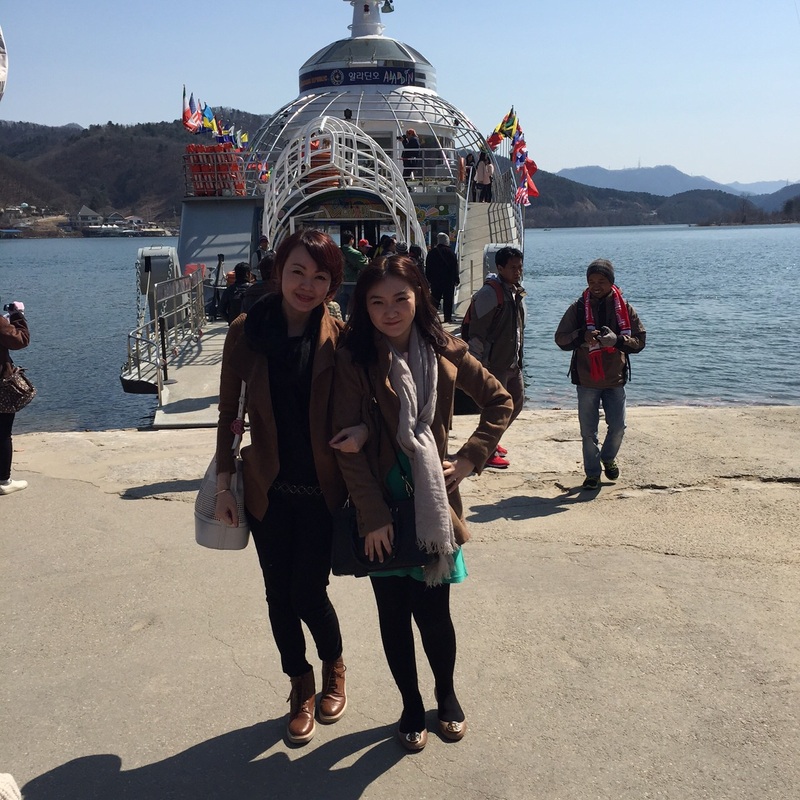 Travel in and out of Nami Island uses a boat ferry, and you will need to pay for the admission fee which is W10,000 (round trip boat fare is included with the admission). For further more information and details, you can click here. 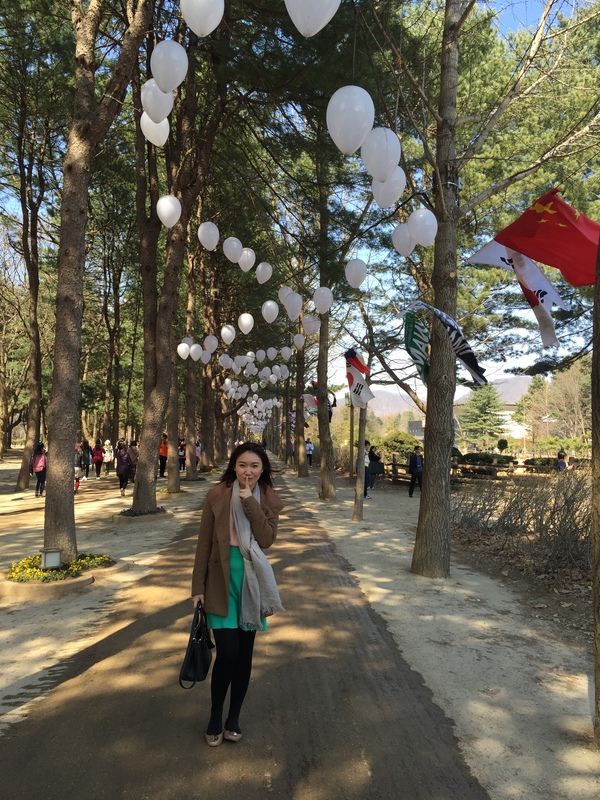 This Winter Sonata experience took place in Spring, March 2015, Nami Island, South Korea.